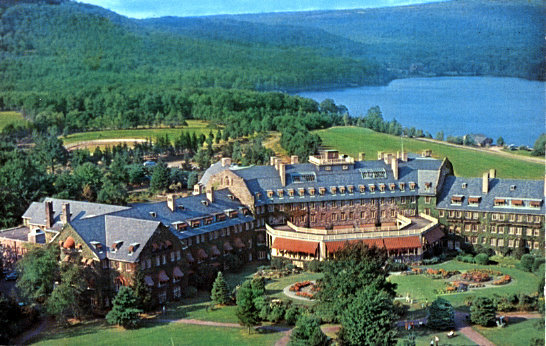 Sktyop Lodge, one of America’s best all-inclusive resorts (Travel + Leisure), is an ideal family getaway offering 5,500 of pristine nature hikes, Skytop Lodge is the ultimate Pocono Mountains Retreat. Skytop offers outstanding themed weekends, Mothers’s Day, May 10-12, is also Skytop’s anniversary weekend. This celebrates the 85th year and it is a weekend to be experienced! You’ll enjoy butlered picnics, sensational food and wine pairings, dancing and a fabulous Mother’s Day Brunch. For the photographer or outdoor enthusiast, Skytop’s Wildlife Photography and Birding Weekend, May 17-19, features photography workshops, nature walks and expeditions set against a stunning backdrop of waterfalls, meadows, lakes and stunning mountain vistas. This just in, Skytop is honored to present the screening of the Sundance Film Festival’s critiacally acclaimed Vanishing of the Bees. The exclusive viewing is part of the “Bee Mindful” weekend, May 3-5, and initiative which is raising awareness of Colony Collapse Disorder whish threatens the bee population and our food supply. This weekend we will also be breaking ground on a wildflower garden to promote a healthy habitat for local honeybees. 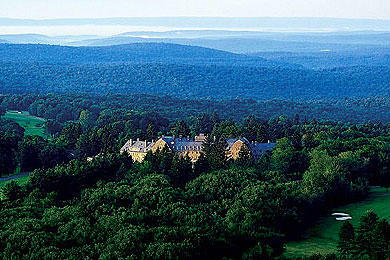 Memorial Day weekend, May 24-27, is a great way to kick off the summer at Skytop Lodge. 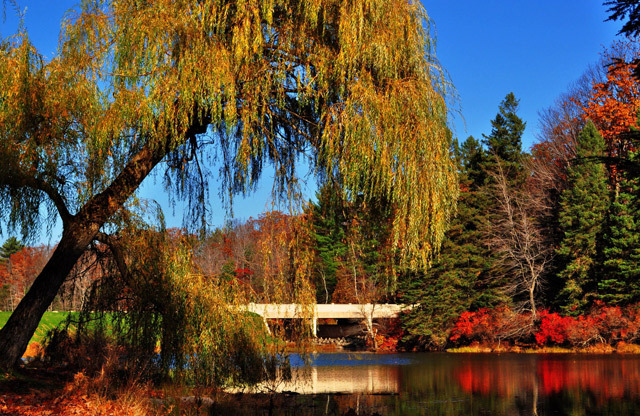 In addition to the miles of hiking and biking trails as well as lake activities, Skytop offers an exciting Adventure Center including three-tiered zipline/challenge course, as well as a shooting and fishing center. The Skytop Tennis Center features Mohesh R. Koregaokar. Affectionately known as “Moe”, he has over 30 years of playing, tourings, coaching and consulting exposure at all levels of expertise and abilities. Having served as personal coach for Andy Roddick and Venus and Serena Williams, Skytop is honored to welcome Moe to the Skytop team. Skytop also offers an award-winning championship golf course under the direction of PGA professional, Brian Boyle. Surrounded by stunning mountain vistas, Skytop’s 19-hole championship golf course features 6,656 yards of golf that tests all levels of play through rolling hills, open meadows, waterfalls, mountain streams and woodlands. The course has a rating of 72.0 and a slope rating of 117. “The small greens are what make it a more difficult course to score on”, said Skytop’s Director of Golf and Head Professional, Brian Boyle. “It puts a premium on a golfer’s chipping and putting”. Give Dad an extra special father’s day gift – an experience with sporting clays, fly fishing, tennis or golf lesson. Fourth of July is an event not to be missed at Skytop – you’ll enjoy fireworks, picnics, music and more! All summer long Skytop is the ideal destination of choice for families – traditional family, family of friends or your family reunion. For more information on these and other fabulous theme weekends, visit www.skytop.com/theme-weekends. Save 15% on The Ultimate Golf Package: The Mulligan! Includes one room accommodation, three delicious meals daily and most activities. Not valid July, August or Holidays. Based on availability. Some restrictions may apply. Valid for one year. Random winner chosen Friday, May 31, winner notified by email with 48hrs to respond! The Go-Go Thomas Tour July 2013 in NJ! Thanks for sharing. I have stayed in the Poconos but never heard of this place.It sounds very nice…I will add this to my places to visit list.